Of the best (grilled chicken wing) and the worst (beef noodles). | It's my life. 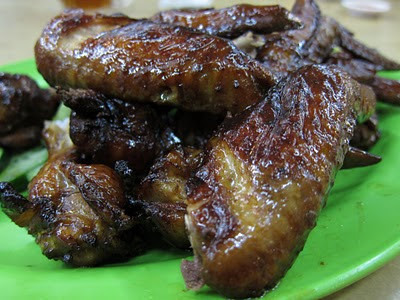 Of the best (grilled chicken wing) and the worst (beef noodles). If you had read my tweets from my Twitter, then you would have already known that I had the best grilled chicken wings yesterday. It was so heavenly, one I can bet no one can even come close to it, taste-wise. It comes with cucumber and chili too. The chili sauce is not bad. This is so what heaven looks like to me. The best way to enjoy the wings is to eat them while they are still piping hot and prepare to get messy, cause you've got to eat them with your hands! As you take the first bite, you can taste the juicyness of the skin and the tenderness of the meat. God, it all fits so perfectly. You can see how juicy it is here. I obviously have no complains about the chicken wings, but I do find the size of the chicken wing slightly smaller in size. 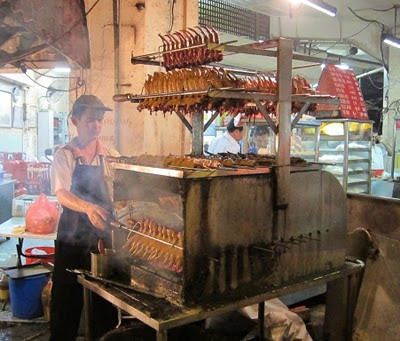 Look at the amount of chicken wings he's grilling. So many! 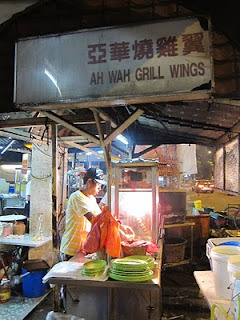 For all those foodies out there, you'll probably already know of Ah Wah Chicken Wings. But for those who don't, they are located in Queen's Restaurant, Jalan Peel (it's not a restaurant by the way, more of a coffeeshop). 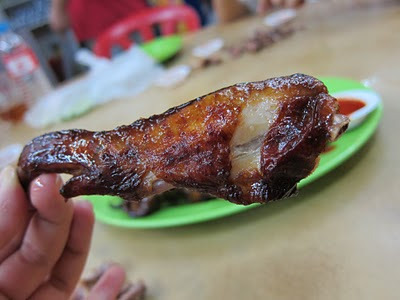 It's RM 1.80/wing. It's so worth the try and the drive down to Kuala Lumpur. But I have to warn you that once you start eating, it so easy to get addicted. There, you have been warned. Thanks Daddy for bringing me there. Oh, this sour plum drink taste good too. 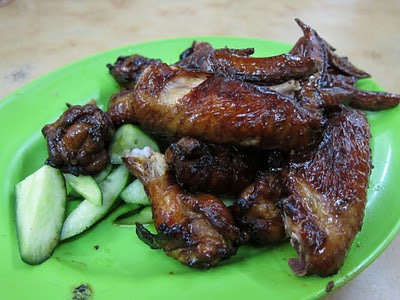 Do order one too from the Queen's Restaurant especially when are you are planning to eat tonnes of chicken wings. It helps cure sore throat and it really works. While we were there, mommy had the sudden craving for beef noodles. She wanted to eat Ngau Kee beef noodles but I wanted chicken wings, so she settled to eating the beef noodles, located near the chicken wing stall. And that was the biggest mistake ever. 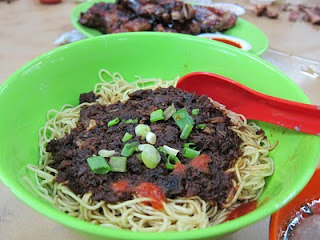 The noodles still had a strong taste of 'kan shui' which means the noodles wasn't rinsed properly after it was cooked. This in turn made the noodles sticky and dry. There was little sauce in the beef noodles altough it was a dry one. It was just horrible and a torture to finish the bowl of noodles. 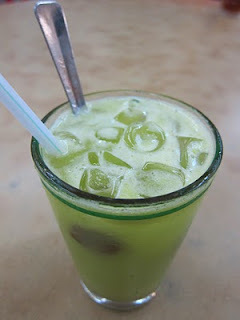 And the best thing was that mommy said that they used to be one of the best ones in Kuala Lumpur.